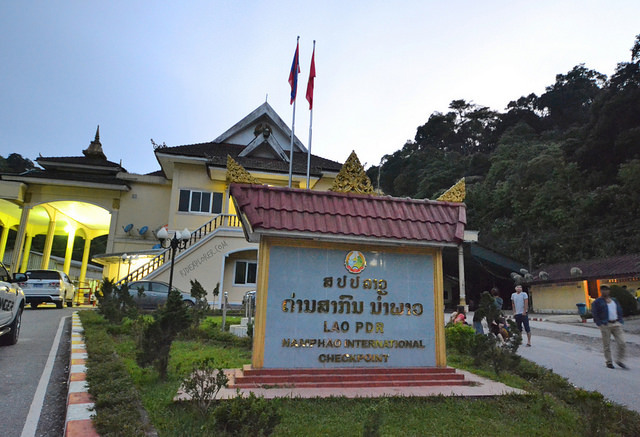 Apart from main airports, many Laos border crossing are international checkpoints where travelers can obtain Lao visa on arrival to enter the country. The map below shows Lao overland border crossing points, most are international crossing where Lao visa on arrival is available. Sobboun (Phongsaly Prov. Laos – Yunnan Prov. China). NO visa on arrival for Laos. If you do not have Lao visa exemption and wish to cross this border you need to secure your Lao visa prior to arriving. Visa note: Before crossing Laos border to China, it is recommended that you sort out your China visa (if you need one), it is unclear if China offer visa on arrival at the border check point. Napao – Chalo (Khammoun Prov. Laos – Quang Binh Prov. Vietnam) NO visa on arrival for Laos, if you wish to cross Laos border at this checkpoint you need to secure your Lao visa prior to arriving. Visa note: Before crossing Laos border to Vietnam, you need to sort out your Vietnam visa (if you need one) as Vietnam visa on arrival is not available at land border checkpoints, it is only available at airports. Veun Kham - Stung Treng (river). This checkpoint has been closed, foreigners can no longer the border here. Visa note: Visa on arrival both for Laos and Cambodia is available at Veun Kham - Dong Kralor border checkpoint. Check if you are eligible for Lao visa on arrival. Dong Kralor - Veun Kham - The checkpoint links the Laos province of Champasak with the Cambodian province of Strung Treng, where Laos national road No.13 meets Cambodia national highway No.7. It is sometimes referred to as Stung Treng/Dong Kralor (some even spell it Dom Kralor) which can be confusing, but don't be confused. 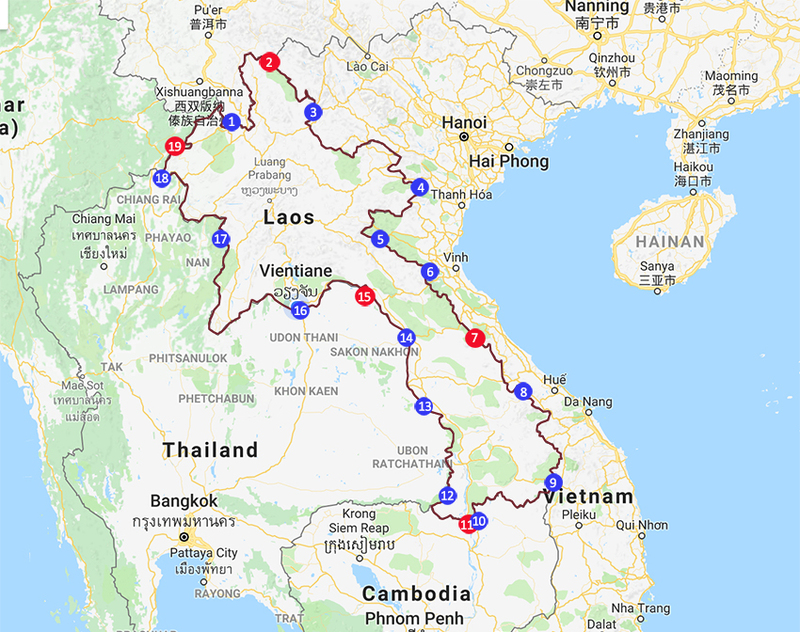 Whatever it's called or referred to, just remember that there is only one border crossing point between Laos and Cambodia that is currently open. To make it a bit clearer, Stung Treng is a Cambodian province, while Dong Kralor is a sub-district in that province where the border crossing point is located. Similarly, Veun Kham is a village on the Lao side of the border so... that is where the name Veun Kham/Dong Krolor (or Dong Krolor/Veun Kham) border crossing comes from. Lao Visa-on-arrival is now available for travelers crossing border from Cambodia to Laos at Dong Kralor border check point. View update from a traveler who has obtained the visa there. It might be worthwhile to note that in the past there were 2 check points, just a few hundred meters away from each other, however, one has been closed to foreigners a while ago. The closed crossing point is Stung Treng - Veun Kham, a river crossing (by long tail boats). This means crossing the Cambodia-Laos border at this check point is no longer possible for foreigners. The only place to cross is the Dong Kralor - Veun Kham check point. Visa note: Most Lao-Thai border crossing points issue Lao visa on arrival. For Thai visa, most nationalities can enter Thailand without a visa, others can get it upon arrival. More information on Thai visa on arrival. Luang Namtha - Xiengkok riverport on Mekong River (Luang Namtha Prov. Laos - Xiengkok, Myanmar. This border crossing point is for locals only. No foreigners are allowed to cross here, not to mention visa on arrival. The border checkpoints are open every day. Main checkpoints like Lao-Thai Friendship bridge #1 opens from 6:00am to 10:00pm. Other less popular checkpoints may have shorter opening hours.